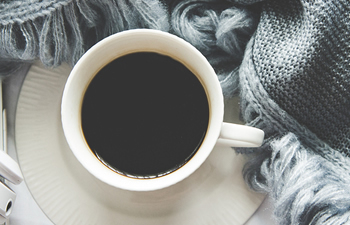 A strong cup of coffee first thing in the morning is a go-to for many of us – and for good reason. Coffee helps ease us into the day, and some research indicates that it may even be good for our health. A good cup of java has been shown to reduce the chance of developing Alzheimer’s, protect against heart disease, and may even help ward of diabetes in some populations. Unfortunately, the benefits of that morning caffeine boost don’t extend to your teeth. Coffee is acidic, which means it can wear away the protective enamel of your teeth. You won’t notice it right away, but over time, this enamel erosion can cause tooth decay. And because the enamel on your teeth is porous, coffee can also cause staining and discoloration, turning your teeth an unsightly yellow or brown color. It’s not all bad news, though – one study out of the Federal University of Rio de Janeiro found that the polyphenols in coffee could help break up tooth-damaging plaque and bacteria, helping to prevent cavities and gum disease. But to reap those benefits, you have to drink it black. So does all this mean you have to give up that critical morning coffee on your drive into the office? Not at all. But there are a few steps you need to take to ensure you’re protecting your teeth.